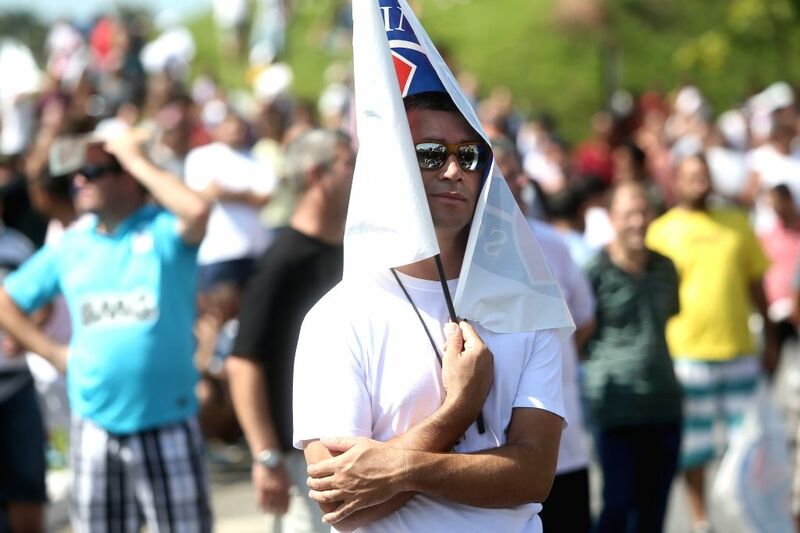 SAO PAULO, Jan. 12, 2015 - Workers of Brazilian plants of Volkswagen, Mercedes Benz and Ford take part in a protest against recent layoffs in Sao Bernardo do Campo, outskirts of Sao Paulo, Brazil, on Jan. 12. 2015. According to local press, Volkswagen and Mercedes-Benz confirmed more than 1,000 layoffs in the last week.